Telescopic gates are the perfect choice for properties that require large gates but don’t have the requisite run-off space. 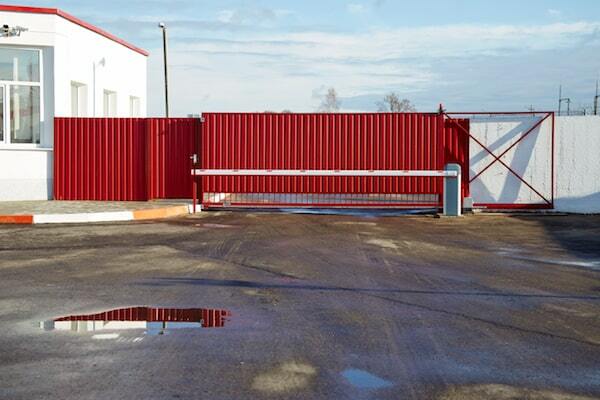 For example, a telescopic sliding gate can be used to span a 6-metre opening where there is only a 3-metre run off space. A traditional sliding gate doesn’t offer this. Everlast Services has been providing leading gate fabrication and installation for over 20 years. We fabricate our gates in our plant in Hoppers Crossing meaning we maintain control throughout the project and we guarantee optimum quality. Our telescopic driveway gates can be automated and because we fabricate them in-house they can be almost infinitely customised. Whatever design you’ve dreamed up we can bring to life and we’ll ensure that the design is perfect for your space and purpose. In our time we’ve dealt with everything, from challenging slopes to rocky ground and we always find a way to deliver on our promises. By engaging with our services, you can be sure of ending up with a telescopic gate that will last the distance. We control every stage of the process and we have built our reputation on the back of strict standards. Nothing leaves our plant until it has been thoroughly checked and tested. We support the local economy by sourcing our materials from local suppliers. We are 100% Australian owned and operated meaning every cent you spend will go straight back into the local community and economy. We don’t charge high-prices for our undeniable quality. In fact, we pride ourselves on making our services available to as many people as we can. Our relationships with local suppliers and our in-house manufacturing allows us to keep costs down and we always pass these savings onto our valued customers. Our telescopic gate service is just one of our service lines. We offer the full suite of home improvement services. We can build you a pergola or deck , we can pour your driveway and we can even landscape your garden. All with the famous Everlast commitment to quality and affordable pricing.